You can now run Traktor on the iPad, but with a fraction of the power of the desktop Traktor. 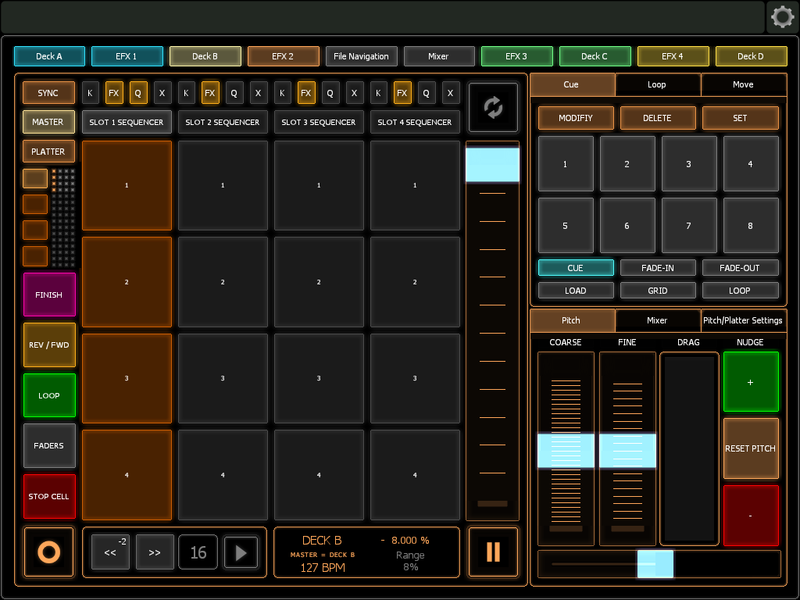 Or you can map Traktor’s capabilities to hardware controllers – just expect to make some choices, and spread out some controllers. A new Lemur template for iPad does something different: it controls nearly everything from custom pages on Apple’s tablet. Platters, pitch control, beat jumping, hot cue manipulation, remix decks – it’s all there. There are massive touch platters that turn your iPad into a kind of scratch deck. You can edit your cues directly in painstaking detail. You even get remix decks – complete with a sequencer. Traxus Control: Traktor is a user created template built in the DIY iPad Midi app Lemur for controlling nearly every aspect of Traktor Scratch Pro. At the expense of tactile feedback, it attempts to challenge the marriage and reliance on traditional controller hardware by offering more accurate visual feedback, smoother user interface, un-paralleled control over the software, and unprecedented flexibility in the face of software updates that would typically render traditional MIDI hardware obsolete. 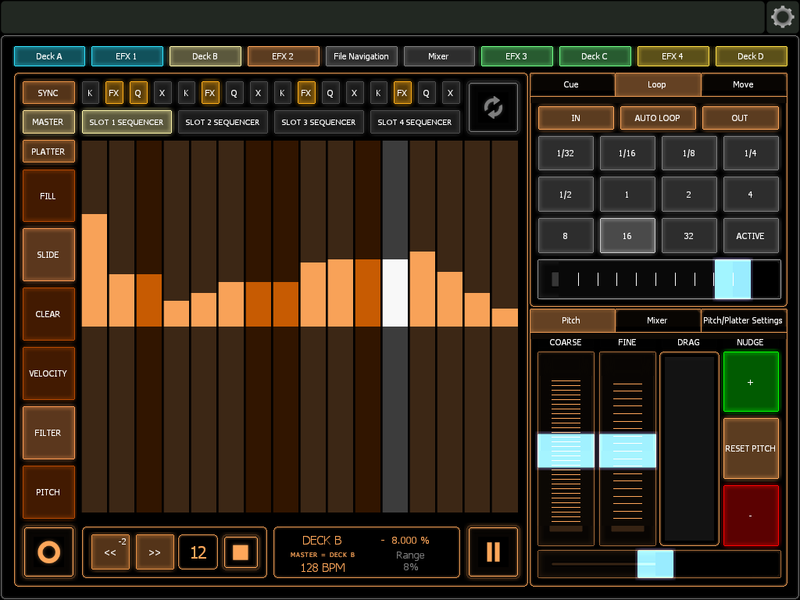 Traxus Control: Traktor will be released to the general public once we have decided on a fair pricing and distribution method. We are currently weighing the costs and benefits of several options, including: ex Post Facto Crowd funding (request donations reach a certain value whereby we take the code open source); pay per license (not per user); controlled free distribution through ad networks as to generate income from advertising; as well as standard donation ware.